ground to canopy, taking insects and probing flowers, possibly for nectar. It can adapt to secondary forest (regrown after rain forest clearance). This quiet, rather sluggish bird is usually solitary, or lives in small family groups. 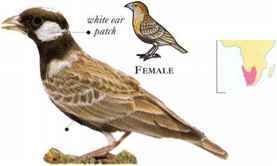 After breeding, males molt to resemble the females. • NEST a spherical nest covered with moss and lined with leaves, generally suspended from the end of a branch. 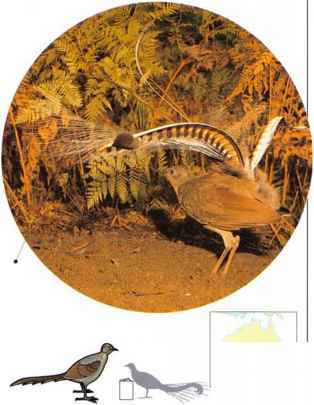 Resembling a pheasant both in size anil life-style, the Superb Lyrebird is a ground-dwelling specics living in moist eucalyptus forests. It scratches the ground with its long, strong legs to reveal insects and other invertebrates. The male develops a unique, lyre-shaped tail that features in courtship dances performed on a special display mound, which he scrapes together out of damp soil. 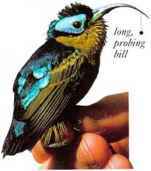 The dancing male vibrates his spread tail above his back; the display also includes a highly-developed song, with elements of astonishingly clever mimicry. • NEST A large, domed nest with a side entrance, made of sticks, bark, fern fronds, and moss, and lined with rootlets. 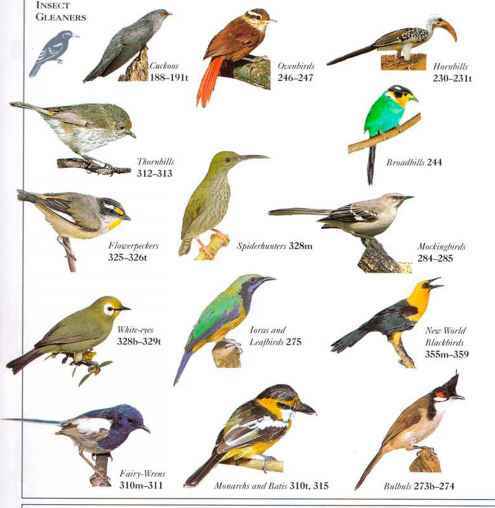 The nest may be located on the ground or on a stump, tree fern, or rock. 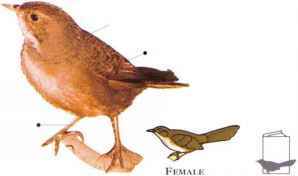 • NEST a domed nest in legs thick vegetation, placed a little above the ground.